Anne Nye has perfected her painterly glass techniques using layers of finely crushed frit to shade and contour her subjects. From crisp, graphic-style pieces to luminous, watercolor-like landscapes, each creation reflects her love of color, depth, texture, and beauty. 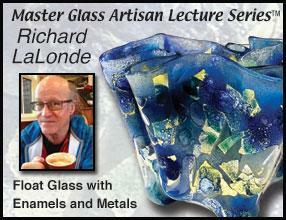 This article was originally published on page 16 of the July/August 2013 issue of Glass Art.